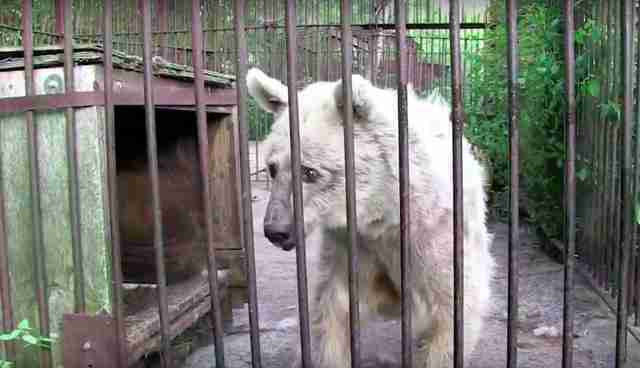 She waited to be rescued for 30 long years. Fifi, a Syrian brown bear, spent her first 10 years performing at a roadside zoo in Pennsylvania. The zoo closed down, but Fifi was left behind in her tiny cage. 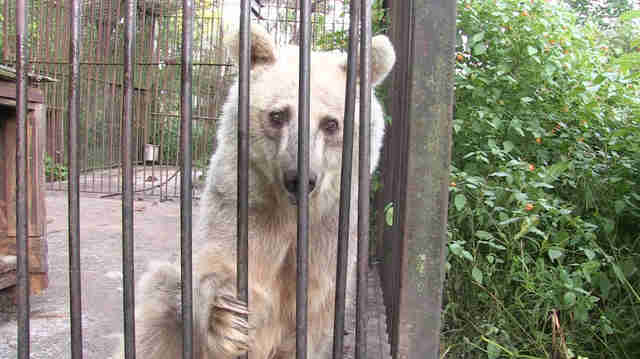 For the next 20 years, she and three other bears were locked in their barren, concrete cells at the abandoned attraction. They never set foot outside, let alone engaged in natural behaviors like running or swimming. 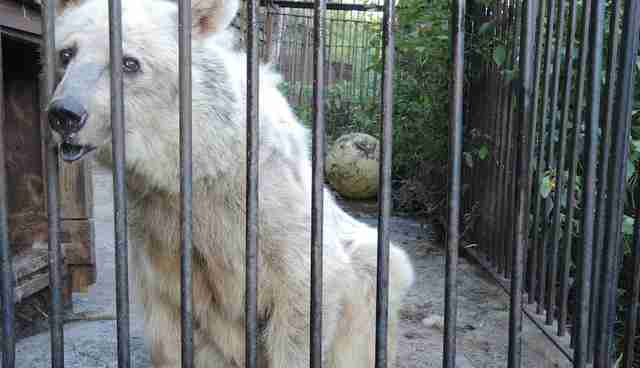 Last summer, Fifi's owner finally decided to give the bears up. PETA was notified and rushed to the scene. What they found was heartbreaking. After decades living in her ramshackle cage, Fifi was painfully thin. Her coat was ragged and hung off her tiny frame; her eyes were sunken and lost. 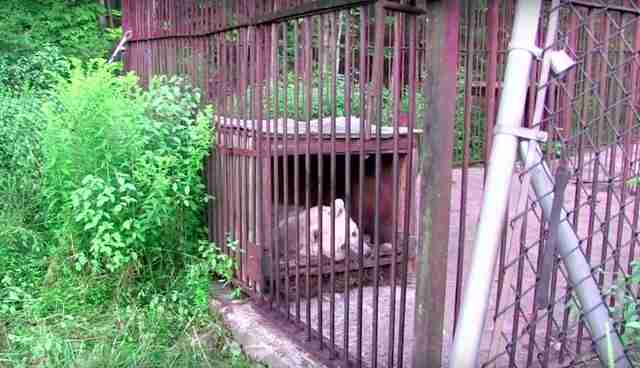 Footage of her rescue shows the elderly bear nosing at the bars of her cage, and she appears to be in pain when she moves; her rescuers discovered she had severe untreated arthritis in her back legs. She and the other bears were also seen swaying back and forth, a sign of stereotypic behavior that animals use to cope with stress. Perhaps even worse, Fifi had never been allowed to hibernate - an important natural ritual for healthy bears. 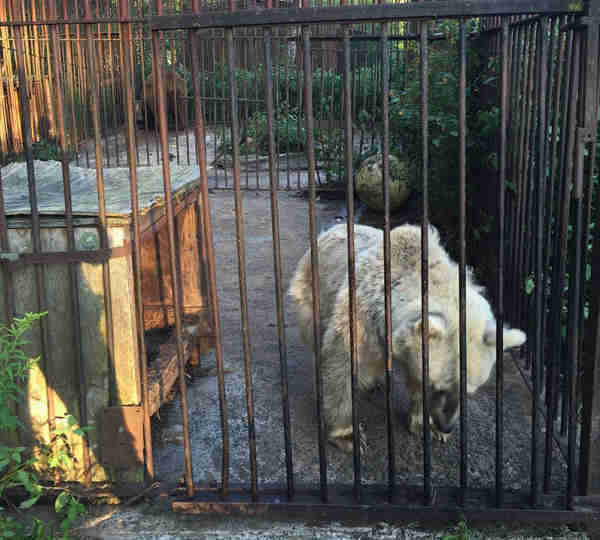 "The four bears only had small rotted wood boxes to lay in, but were not large enough for the bears to fit into completely - nor did they have an end wall to close off the box from winter snow and cold," Wild Animal Sanctuary wrote on Facebook. "Their owner felt they shouldn't hibernate and made sure they stayed awake each winter for decades (this is extremely detrimental to the bears' health and well-being)." 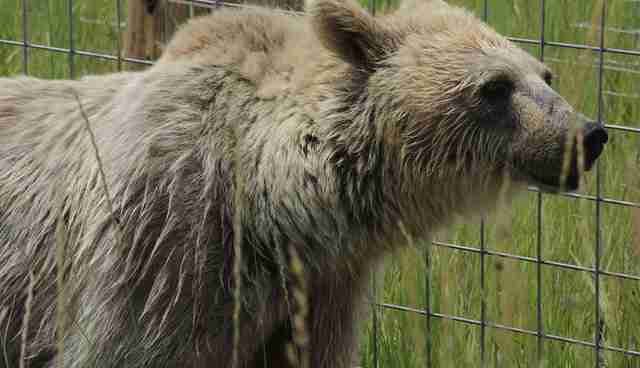 The rescue team wasn't sure if the 32-year-old bear could make it. 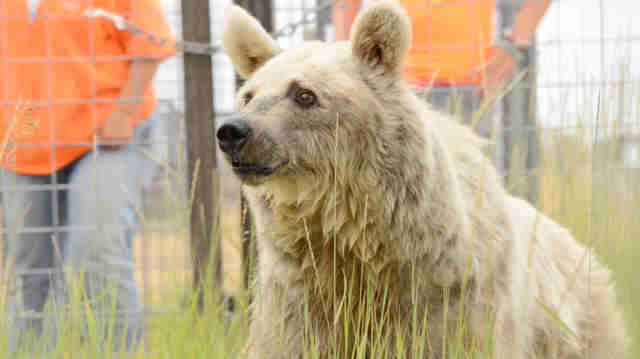 But they knew they had to try, and relocated her to the Wild Animal Sanctuary's Colorado reserve. In her first few months, she received a proper diet for the first time in her life. She had room to run and finally felt the grass beneath her feet, returning at last to a semblance of the natural life she should have had all those years ago. She also discovered water. PETA wrote that, as soon as she was released into her habitat, she made "a beeline for her new pool ... promptly submerging herself for likely the first time ever." And she quickly proved everyone's fears wrong. 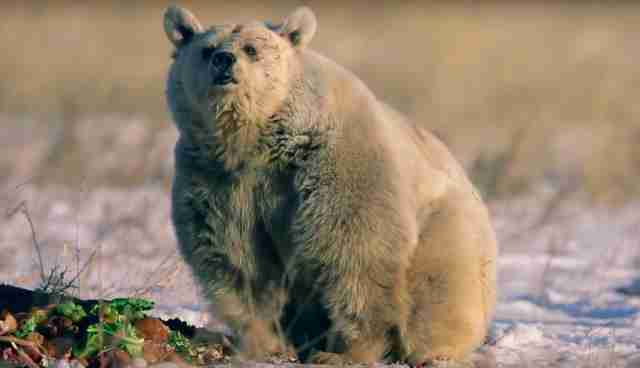 Within months, a proper diet and space to run free had sparked a remarkable change in the once-ailing bear. A photo taken in December shows her extraordinary transformation. 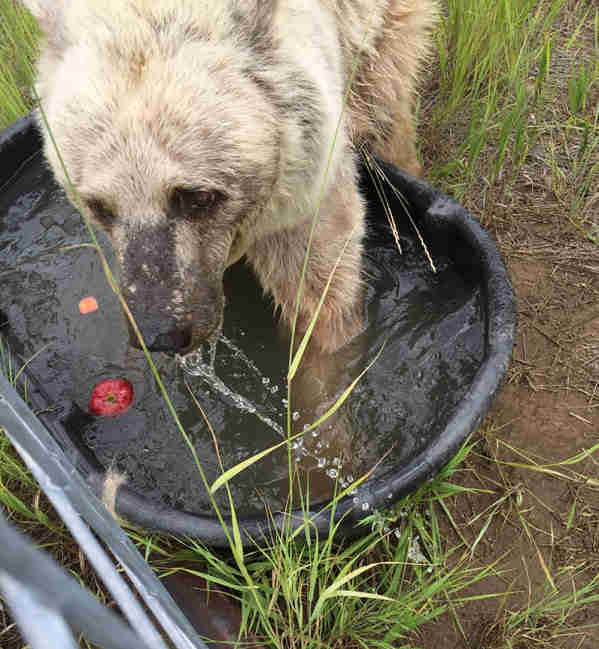 Fifi is fat and happy as she munches on fruit in her new sanctuary home, and looks like a completely different animal from the emaciated, sad-eyed bear rescuers saw when they found her. And the transformation wasn't just physical - Fifi and the other bears have finally been learning how to hibernate. They spent the past winter dozing away in their new dens for perhaps the first time in their lives, though they still came out every once in a while to check things out. "This is very normal the first year a rescued bear tries to hibernate, and the behavior will not repeat the second year, since they will have mastered the concept," Wild Animal Sanctuary said. After her decades-long wait, Fifi is finally getting the life - and sleep - she deserves. 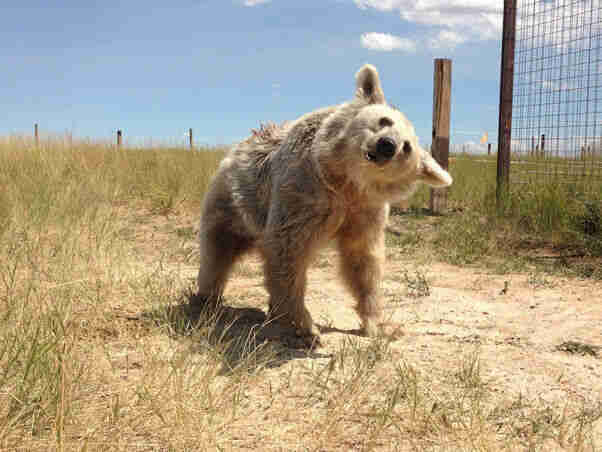 "We are thrilled to see how big and beautiful Fifi is," Wild Animal Sanctuary wrote. Watch footage of Fifi's rescue below. If you'd like to help care for Fifi and the other animals at Wild Animal Sanctuary, you can make a donation here.